When we talk about the skies above China, we are often referring to topics like pollution or busy airlines. But beneath the clouds there is a Chinese art form that has glided through history. This ancient relic brings the colors and patterns of the ancient dynasties to the city skies of modern China and the world. It&apos;s the famous Chinese kite and its long history of cultural significance begins thousands of years ago. The kite is believed to have originated in China. Since its invention, there have been many adaptations to the kite by various cultures around the world. The kite you probably flew as a kid looks a bit different to the original Chinese kites and even the kites of modern China. 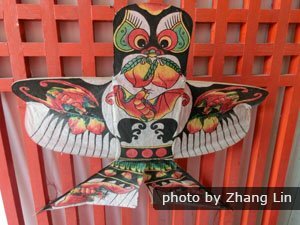 A Chinese kite in ancient times would have used simple materials such as wood and cloth. They were often made to resemble the shapes of birds. Today, elaborate and large designs can be seen flying above parks in China. They will often resemble real animals and members of the Chinese Zodiac. Some kites will have LED lights attached to allow for night flights and fun light shows. Kites were invented in the early Warring States Period (475 - 221 B.C.) by Mozi and Lu Ban, two philosophers who came after the teachings of Confucius. The kites were exclusive to China for many years before the knowledge of how to make and use them advanced. The period saw many attacks from foreign powers, as well as civil unrest. Kites played a role in providing military intelligence for the Chinese forces. Mainly, they were used for military purposes. The first kites were what we today would call prototype kites: they were made of light wood and cloth. They were designed to mimic a bird&apos;s natural flight. The first Chinese kites were used for measuring distances, which was useful information for moving large armies across difficult terrain. They were also used to calculate and record wind readings and provided a unique form of communication similar to ship flags at sea. Kites are still very popular in modern China. Chinese kites usually represent mythological characters, symbolic creatures, as well as legendary figures. Some have whistles or strings designed to make unique sounds while flying. We can divide them into two categories: large and small kites. In size they can range between 304 meters and 30 centimeters across. Today, you will see people flying small kites with children in many Chinese parks. You can also see adults flying the larger kites and using more advanced methods with larger ropes to support the great size. Wooden kites were called mu yuan. Mention of this prototype kite – the bird style referred above – stems from tales of Mozi (BCE 470-391) who was a philosopher. Mozi lived a century later than Confucius (BCE 551-479) and was opposed the teachings of both Confucianism and Taoism. 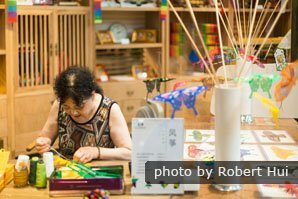 He wrote about the use of wooden bird kites in China during his lifetime. Another source indicates that a paper kite, the zhi yuan, was used as an emergency warning device. This occurred a millennium later, when the kite was flown in order to appeal for help during the siege of Nanjing. Paper kites are still used in China, but are seen as more of a traditional art than a viable pastime. It was not until the Tang (CE 618-907) Dynasty that lighter kites made of first silk and then paper (bamboo was a common material used for the ribs) made their appearance. It was at this time that the kite came to transcend its humble military, or functional, origins, becoming an instrument of pleasure. It was not long before artisans began to compete in creating the most artistic, the most acrobatic kites. During the Ming (CE 1368-1644) and Qing (CE 1644-1911) Dynasties, kite making and flying had become an art form. Kites featured colorful decorations in the form of birds, flowers, blossoms, and of course, calligraphy. The Chinese kite, not unlike the case of the Chinese lantern and the Chinese umbrella, became a vehicle of artistic expression – oftentimes with literary overtones. 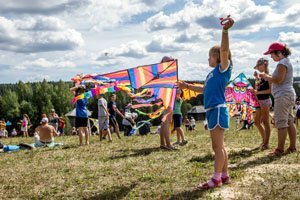 The construction of kites has changed over the years. New materials and better understanding of flight have given modern kites a serious advantage in flight. However the ancient methods are still interesting and worthy of note. Kite construction consists of three parts: framing, gluing and decoration. With framing, light woods such as bamboo were often used to create the bones of the kite. These are both light, exceptionally strong, and pliable. Many frame shapes were popular, including traditional representations of birds, butterflies and dragonflies, as well as non-winged insects such as centipedes or mythical animals like dragons. 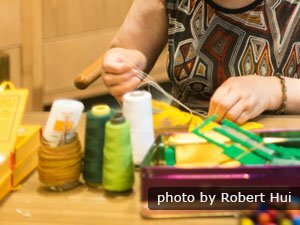 Modern kite artisans go beyond the traditional, producing kites that conform only to the creator&apos;s imagination. Material such as plastic and nylon allow for bright colors and enhanced durability. LED lights and specialized noise makers also enhance the kite flying and viewing experience. Sometimes movement is incorporated into a kite by means of a hinged arrangement of sections of the frame, suggesting wing or tail movement, etc. Silk, paper, nylon and other modern materials are used for the kite&apos;s "sail". 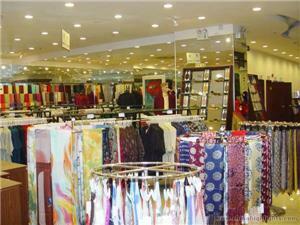 Silk is very beautiful but also more expensive and more fragile. Paper is both cheaper and more practical to work with, and it lends itself admirably to decoration. The paper type used for kites is very thin but fibrous, which both reduces weight and ensures strength. It is often treated with a with a thin layer of oil to preserve it. Once the kite&apos;s sail material is glued to the bamboo frame, the kite is then decorated. In addition, tassels and sometimes hollow reeds are attached to the kite in order to give it movement or produce sound. The city of Weifang, Shandong Peninsula, has a special relationship to the kite. The city is namely home to the International Kite Association, and holds the Weifang International Kite Festival from April 20th to the 25th each year. 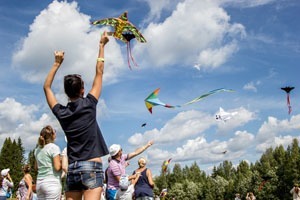 Kite enthusiasts in the thousands, and from all corners of the globe, descend upon the city of Weifang at this time each year to participate in the kite competitions. Tourists flock just to watch this majestic and colorful spectacle. The climax of the festival is the crowning of the annual "Kite King". Weifang also has a museum dedicated to the history of the kite. 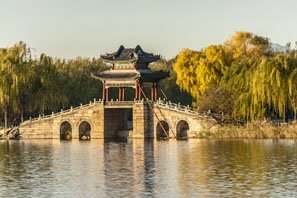 It was in the city of Weifang that Marco Polo, in 1282, supposedly witnessed the flying of a manned kite. According to Marco Polo&apos;s travel diary, there existed a tradition in Weihai at the time for testing the wind with a kite in order to determine if an imminent voyage would be good or not. This was done by binding a sailor to a large kite to a ship as it "rode with the wind", then casting kite and sailor off the ship into the breeze. If the kite and its passenger flew high and straight, it was a sign that the voyage would be a good one. When he returned to Italy, Marco Polo brought with him a Chinese kite, and soon, thanks to the Silk Road, the Chinese kite became known throughout Europe, and from Europe, it would of course travel to the New World, the Americas. In the History of Flight pavilion at the National Aeronautics and Space Museum in Washington D.C. a plaque is inscribed to the humble Chinese kite. It states, "The earliest aircraft made by man were the kites and missiles of ancient China." To learn more about Chinese kites, you might be interested in a Shandong tour. 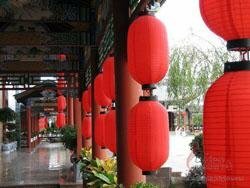 Our popular China tours can be extended to Shandong. We can also design a bespoke itinerary to meet your requirements and provide you with a free quote.